I was interested in getting a board game to develop social skills and found some excellent ones for sale. However, due to budget restrictions these weren’t an option for me so I spent some time developing my own. The game can be seen above and is very easy to play. Here are the rules. All children start on the star. They roll the dice and move that amount of places. Wherever they land, they must do something. Some of the boxes give children a task. You will also see two picture boxes – one is a house and the second is a school. 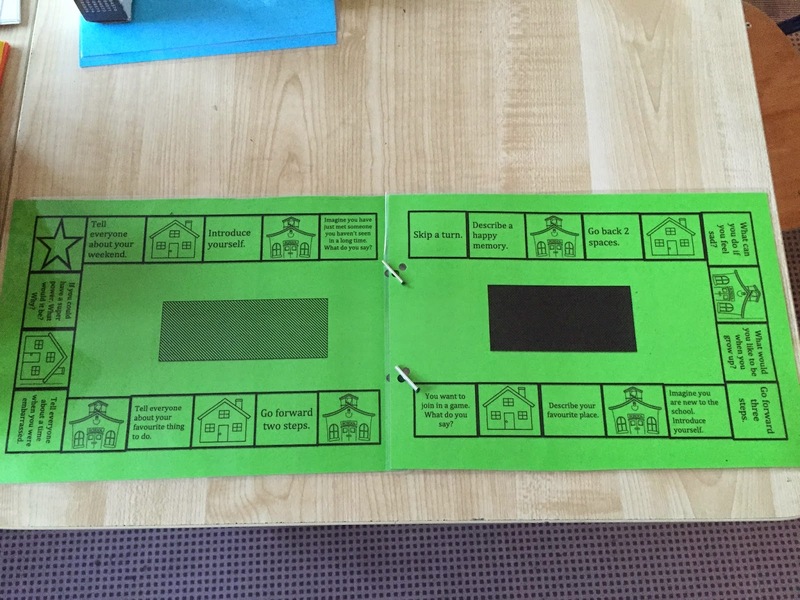 If the children land on the house they must pick up a house card (which can be placed on either of the two squares in the middle) and if they land on the school they choose a school card. The cards have little scenarios on them where the child has to think of what they should do to ‘behave appropriately’.